I’ve had no faith in a Deadpool movie and with good reason. Considering how his big-screen debut was quickly botched back in 2009’s “Wolverine: X-Men Origins”, I was quite pessimistic 20th Century Fox could do anything worthy of the character’s potential. Don’t blame Ryan Reynolds, who fittingly portrayed the wise-cracking, katana-slinging mercenary Wade Wilson within the first fifteen minutes of that movie. The character nosedived when his mouth (his most appealing attribute) was sewn shut and martial artist Scott Adkins stepped in on the action. Devoted fans of the Marvel Comics anti-hero – a character who spun-off from the X-Men universe – were understandably ticked off, and although there was talk of Reynolds reprising the role in the character’s own movie, it mostly felt like all talk. 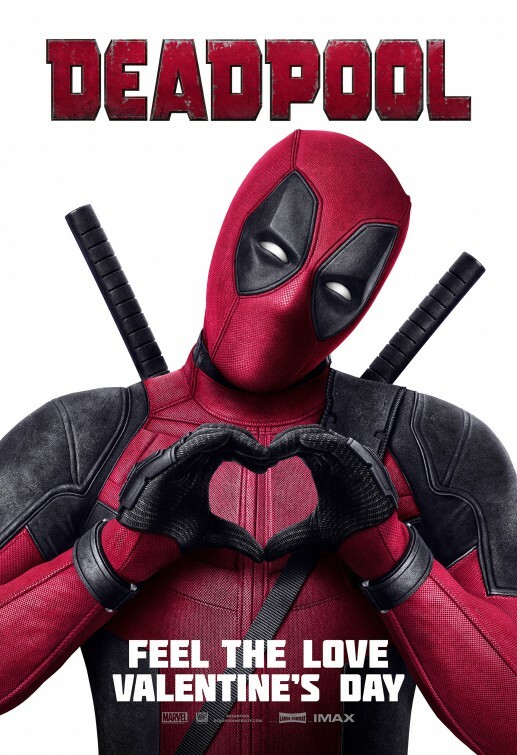 Well, surprise surprise – we now have that movie and “Deadpool” is actually one of the best of the Marvel/Fox movies since 2003’s “X2: X-Men United”. As an action-comedy, this feature-length debut from Tim Miller has consistent R-rated violence and humor, with the appropriate irreverence the character deserves, allowing the “Merc with a Mouth” to do what he does so well – antagonize and annoy everyone he comes across. Whether it’s X-Men he comes in contact with or the assassins that are out to kill him, Deadpool’s first course of action is barraging them with a mouthful of filthy put-downs and/or sarcastic quips – bullets and swords come later. It’s his immature M.O. and those unfamiliar with the character, created by Fabian Nicieza and Rob Liefeld in 1991, will be getting a backstory told by Wilson himself, in his typical break-the-fourth-wall style as he does in his comics. Also in the comic and this movie – Deadpool is a character who knows he’s a comic book character and is aware that there are movie adaptations of comic book superheroes (and anti-heroes) and he thoroughly enjoys making fun of himself and them. That obnoxious and incorrigible tone is one of the many elements I appreciated about “Deadpool”. It’s apparent immediately during the movie’s opening credit sequence, where we’re dropped into the middle of a stop-and-slo-mo violent melee on a busy elevated highway with cars flying, bodies (one of which is our anti-hero) and bullets all flipping and whizzing in mid-air, while humorous credits insult those involved in the making the movie. It’s easily one of the more creative uses of opening credit sequences that I’ve seen in a comic book action movie that I can recall. That’s probably because director Miller has a background in animation and visual effects, having created the opening credits sequence for both David Fincher’s “The Girl with the Dragon Tattoo” and “Thor: The Dark World” (for the non-mutant Marvel movies). As “play” is pressed on the action, we’re given a fury of shooting and collateral damage that is carried throughout the entire movie, when Wilson isn’t getting us up to speed on his story up till then by way of a series of flashbacks that thankfully don’t feel like they’re interrupting anything. In fact, this is the rare instance where an origin story told by the main character doesn’t feel like it slows down the overall story or bores us with formula. It’s in these flashbacks that we learn how former special ops Wade Wilson become the fast-talking loudmouth in black-and-red tights – and it’s actually funny and refreshing to see a vulgar and charming womanizer tell his story. It’s at his local watering hole run by his pal, Weasel (T.J. Miller), where he meets Vanessa (Morena Baccarin), who turns out to be his female equivalent – just as profane, raunchy and charming as Wilson. They’re messed up and made for each other. You know it immediately when they compare childhood horror stories. Miller and screenwriters Paul Wernick and Rhett Reese (“Zombieland“) have just as much fun establishing their relationship as they do all the action scenes here. Seeing them celebrate random holidays over the course of a year (to the tune of Neil Sedaka’s “Calendar Girl”) is a hoot and one of the more surprising laugh-out-loud moments of the movie. It’s obvious the time the movie spends on these two establishes a connection that is needed later on when Vanessa will inevitably be in peril at the hands of the movie’s villain, but even with that predictability, Reynolds and Baccarin are great together and fun to watch. Their contentment is halted when Wilson gets a Stage IV cancer diagnosis that pushes him away from Vanessa and finds him accepting an offer from a shady Recruiter (Jared Rees “Galaxy Quest”) who promises his mysterious organization cannot only cure his cancer, but transform him into a super soldier. Wilson can care less about becoming super – he just wants to live and continue his relationship with Vanessa. Of course, we know where this is going – in fact, it’s very similar to Hugh Jackman’s Wolverine on-screen Weapon X origin (an actor and character Deadpool makes fun of throughout the movie) – there’s a secret facility that offers radical and painful treatment as administered by a baddie named Ajax (Ed Skrein, “Transporter Refueled”), another merc who happens to have mutant powers that have adorned him with enhanced strength and the inability to feel pain. He promises Wilson the experiment will trigger a mutant gene in his body which will destroy his cancer and give him super powers, which will make him marketable as a super-slave. Wilson does indeed receive powers – accelerated healing powers which expel his cancer yet leave him physically scarred like a third-degree burn victim. When he escapes the facility, his goal is exacting revenge and forcing Ajaz to reverse his current look (think Darkman underneath the bandages). The experiment also furthers his acerbic wit and borderline insanity, which make his path of revenge all the more entertaining for viewers. His outward appearance also provides an understandable reason for Wilson to don a costume, since everyone is distracted by his disfigured looks (my bet is there will be outrage over this) and we settle on the black-and-red suit. Between the long list of visual effects talent and costume designer Angus Strathie, the look of Deadpool’s costume stands apart from the spandex we’re used to seeing. This is mainly due to how it mask emulates the expressiveness the character has in the comics, by using seamless CGI to move the eyes while his mask is still on. It’s a deliberate touch which fits the character that may take some getting use to for those unfamiliar with the comic. For those familiar with the character’s activities in the comics and a knowledge of some of the X-Men books, you’ll be pleased to see how certain characters are written and portrayed. With Wilson keeping his distance from Vanessa, he finds himself rooming with a blind elderly woman he calls Al (Leslie Uggams, Kizzy from “Roots”), whom he met in a laundromat and their contentious-yet-endearing relationship offers up some new laughs as well. 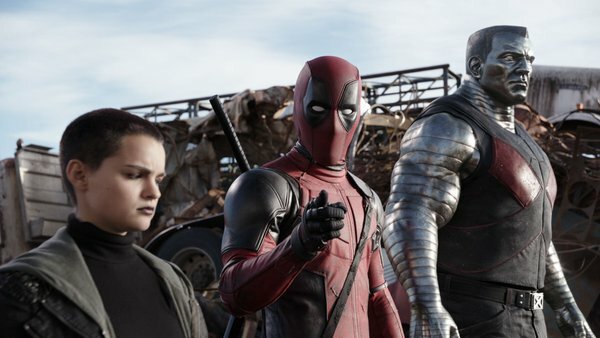 “Deadpool” also includes appearances by a couple X-Men – Colossus (Andre Tricoteux motion capture work, while Serbian actor Stefan Kapičić lends his voice for the Russian mutant) and Negasonic Teenage Warhead (Brianna Hildebrand), both super-strong – who offer straight-up good guy roles, since Wilson goes out of his way to emphasize that he’s far from a superhero. Deadpool’s interaction with these two mutants from Charles Xavier’s school provides plenty of laughs as the character makes fun of superheroes, the X-Men (both the team and the movies) and often provide some great physical humor – like when Wilson mangles his hands and feet on the organic-steel frame of Colossus. It’s great to see Colossus, one of my favorite X-Men, finally given some screen time other than a bit supporting part, like he has been in a couple of the previous X-Men movies. Sure, he’s a supporting player here, but he’s one of only two X-men (something the screenplay hilariously mentions) and I found myself noticing how much I appreciated just seeing two X-characters, considering how crowded with them those movies tend to be. Plus, seeing him go head to head against Gina Carano, who plays Ajax’s associate named (but never referred to) Angel Dust, was quite satisfying. So, seeing Colossus and Hildrebrand’s character (yes, her code name is made fun of as well in the screenplay) as the sole ambassadors of the X-Men movie universe we’re familiar with was actually a relief. After all, this isn’t an X-Men movie and like the Deadpool books, all we need is a guest-starring appearance or a team-up – here we get both. While “Deadpool” does have some of the same conventions of other superhero movies – a rescue of the love interest and a showdown with the main villain that leads to mass destruction – how it goes about employing those conventions feels different enough. On the way to his big showdown with Ajax (don’t worry, that name is made fun of, repeatedly), Deadpool winds up forgetting his enormous duffel bag full of weaponry in the cab he and his two X-Men rode in. You don’t see that too often. That’s just one of the many funny bits that Reese and Wernick inject throughout the familiar tropes we expect and the fact that Wilson/Deadpool’s story is out of chronological order serves to differentiate itself from what we’re used to. 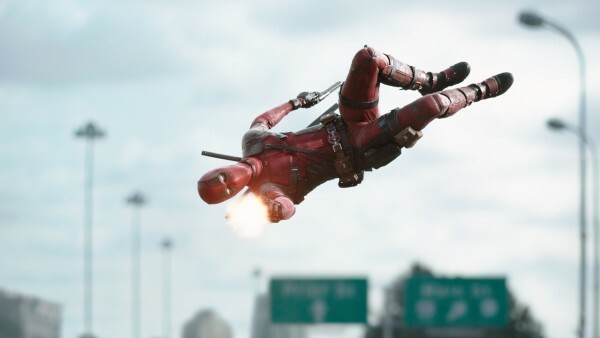 “Deadpool” isn’t the best superhero movie ever made and that’s okay because it want to be. Like the character, this movie simply sets out to deliver a whole mess of LOLs, bullet shells and constant one-liners. Is the studio crazy to release this on Valentine’s Day/President’s Day weekend? Nope. It’s actually quite clever. There’s currently a Nicholas Sparks romance drama out there, but for moviegoers tired of ‘more of the same’, “Deadpool” offers a little romance with a lot of bloody violence. For those angry moms upset that there isn’t a Deadpool movie their young son can attend – all I can say is, you can find the character in animated or video game form hanging with a certain web-slinger. If you liked “Shoot ‘Em Up” and always wanted your X-Men movies pushed a little further into the R-rated zone, this is the movie for you. 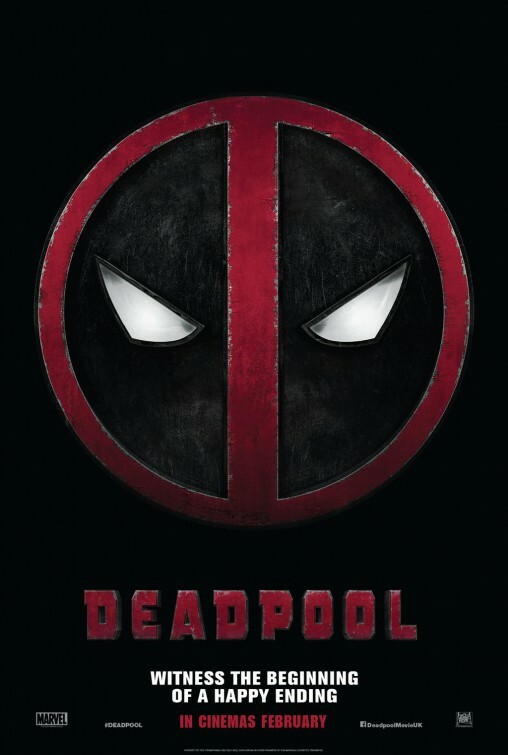 More irreverent than it is mean-spirited, “Deadpool” is dead-on with its tone and style and isn’t afraid to make fun of everything and anyone (including DC’s “Green Lantern” movie, which also starred Reynolds). I had an absolute blast watching it and it felt like most of those attending the screening I attended did as well. Hopefully it won’t take another seven years to see Reynolds suit up again. When he does, I’ll bring the chimichangas!